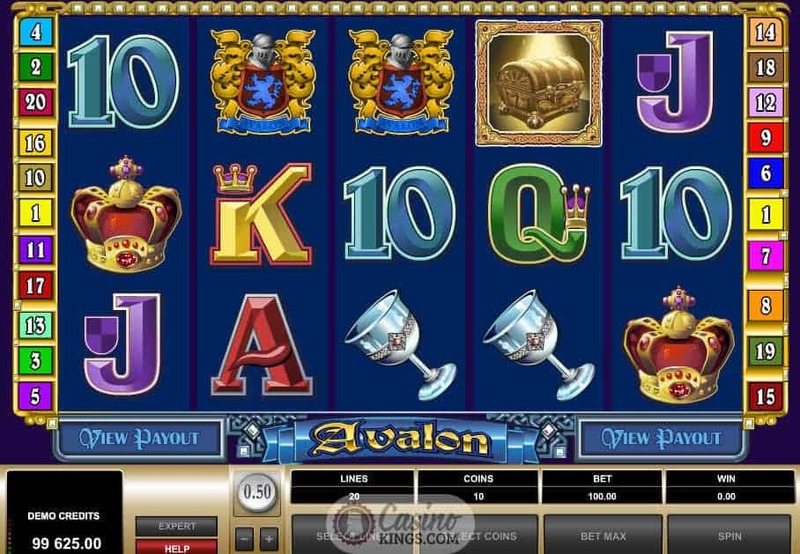 With the Avalon Slot game it proves few legends are as powerful or evocative as that of King Arthur, the mythical king who led the Brits against the invading Saxon invaders in the 6th century. Fortunately, there is nothing mythical about Microgaming’s slot inspired by the legend – it is very real, as is the treasure it can bestow and the legends it can create. 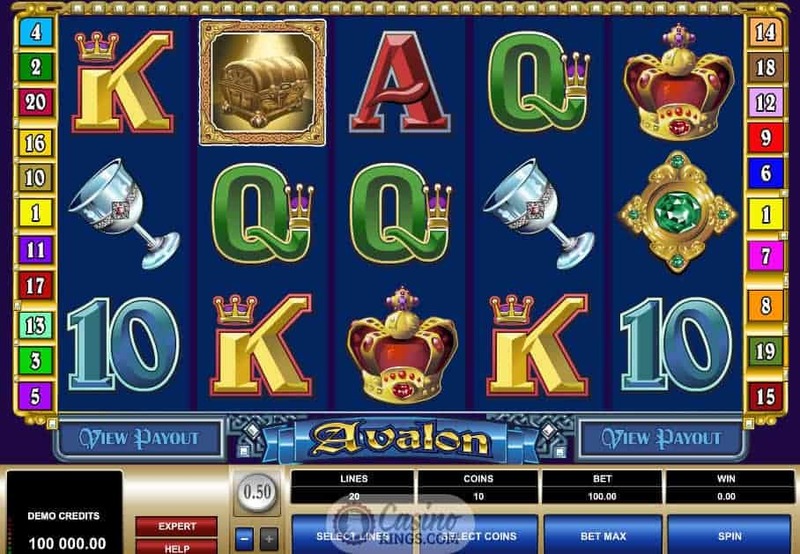 Avalon, the legendary island where Arthur found Excalibur, was by all accounts a pretty wild place so it is fitting that it forms our Wild symbol across the 20 paylines, and substitutes for every other symbol except the Lady in the Lake Scatter. As seasoned veterans we have the choice to play in “Expert” mode, which opens up the auto-play feature, though even first-timers have the option to tinker with the number of lines and coins bet per spin. An almost ghostly sound score plays throughout, interrupted only by the sound of the reels blip-blopping their way round – almost like a court jester has nipped in for a bit of light relief between courses at a grand Arthurian feast. 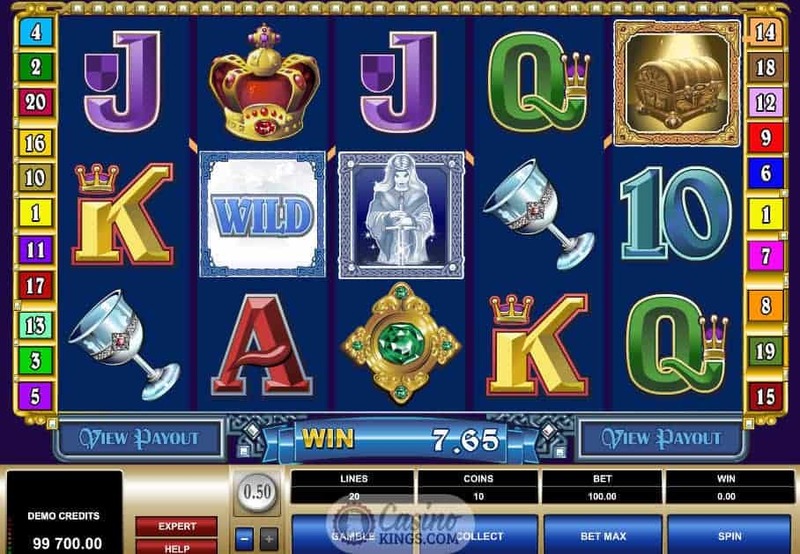 Our Lady in the Lake Scatter symbol launches the free spins feature when we land three, four or five of her across the reels. She grants 12 free spins, during which the treasure chest symbol becomes a second Wild, ramping up the potential for legendary winnings. 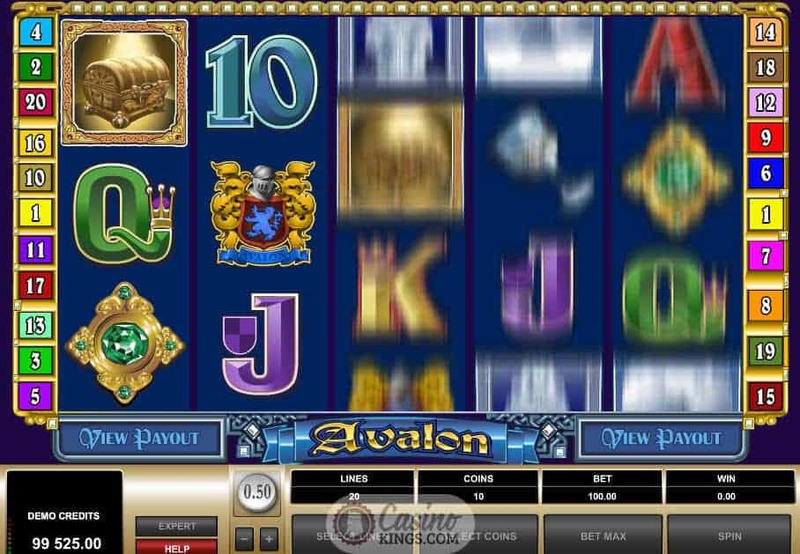 As with many Microgaming slots of this era, Avalon includes a Gamble feature that allows us to choose whether to gamble our winnings after every winning payout. Based on a “pick a card” scenario, this could double or quadruple each winning payout, but, just like Arthur’s battles with Mordred, not every one can be a winner so choose your battles wisely. Though this game may appear basic in graphics and sound design compared to some modern video slots, the theme is enough to intrigue and excite. Of course, the bonuses help, so the double-Wild bonus feature with the potential for big winnings goes some way to explaining this game’s ongoing appeal. That and the chance to create our own gaming legend, obviously.